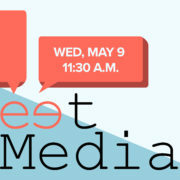 Join us for our next GFW PRSA luncheon on Wednesday, May 9, at Colonial Country Club! How can we work best with the media? Find out firsthand at one of the Greater Fort Worth Chapter of PRSA’s most popular programs of the year—the annual media panel discussion—on May 9 at Colonial Country Club. Come prepared with your questions and learn how to effectively get coverage for your clients and causes. https://fortworthprsa.org/wp-content/uploads/2018/04/PRSA-May_2018_jr-02.jpg 3021 7969 Hannah Lacamp http://fortworthprsa.dividesignpros.com/wp-content/uploads/2019/01/GFWPRSALogo2018-300x287.jpg Hannah Lacamp2018-04-23 11:15:202018-04-23 11:15:20Join us for our next GFW PRSA luncheon on Wednesday, May 9, at Colonial Country Club! Mentors play an important role in the Accreditation in Public Relations (APR) process, from encouraging members to seek APR to guiding candidates through to passing the exam. 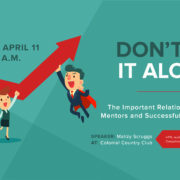 At the GFW PRSA luncheon on Wednesday, April 11, Malizy Scruggs, APR, media relations practice leader at The Starr Conspiracy and APR Chair of the Dallas PRSA Chapter, will talk about why APR matters, present case studies on the challenges associated with successfully mentoring candidates, and give examples of chapters who do mentoring right. At the end of the presentation, candidates and potential mentors are invited to participate in a “Mentor Match” to begin building a strong mentorship program in our chapter.